Thompson Suburban Dental Laboratory (TSDL) is a state-of-the-art, full-service dental laboratory in Timonium, Maryland. 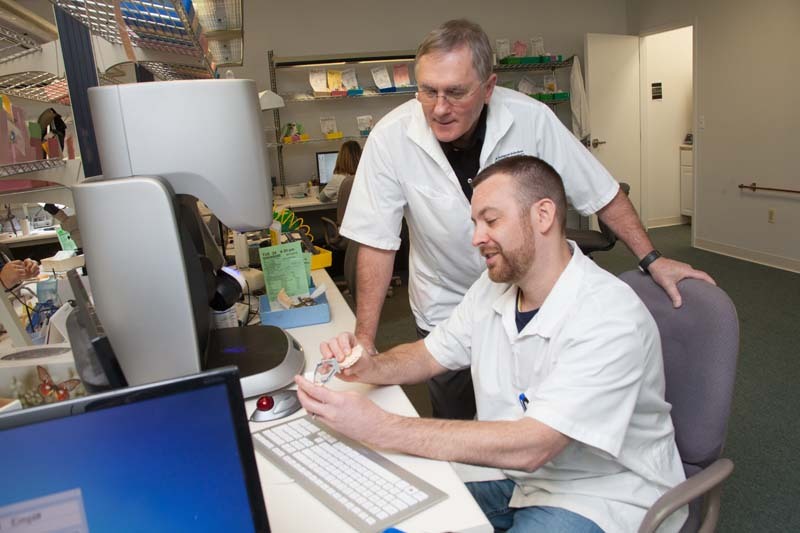 William Grill, CDT, purchased the lab in 1979 from Robert A. Thompson who opened it in 1959 as a small denture lab. Over the past 30 years, TSDL has grown to become one of the most high-tech and trusted dental labs in Maryland thanks to our dedication to quality and customer service. TSDL was founded on the principle of “quality with integrity” and is committed to excellence in cosmetic dentistry and innovative leadership in removable, fixed, and implant prosthetics. Our mission is to achieve outstanding results for you and your patients by providing personal service. Our cases are fabricated here in our facility in Timonium, Maryland. We do not outsource to China. We use only FDA-approved materials from start to finish for your patient’s safety and well-being. In addition, we provide qualified technical assistance and are always available to talk to you about your cases. We are happy to assist you with planning and will gladly provide you with an estimate of your case.